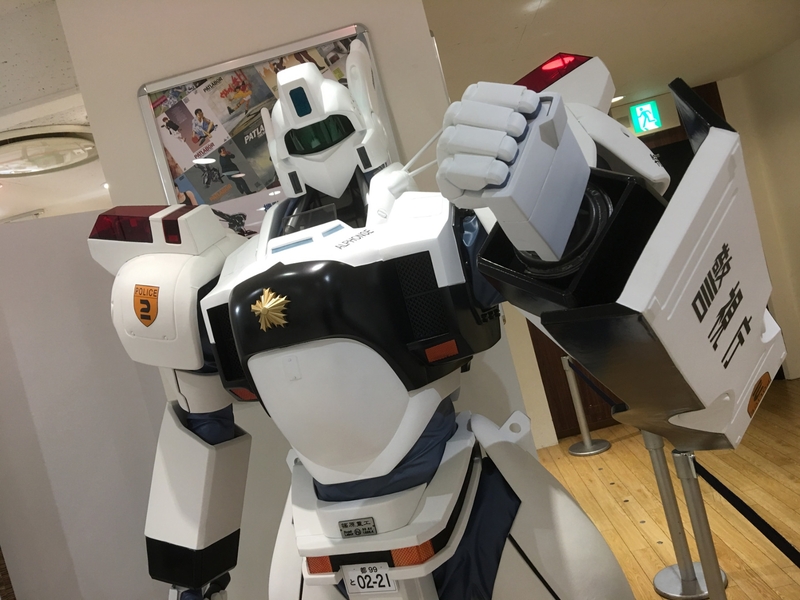 Ikebukuro Marui Department Store has just opened an exhibit celebrating Patlabor’s 30th Anniversary. The exhibit is scheduled to run until December 24, however the SpeakerPODcast Crew dropped by on Friday night to check it out before the weekend crowds hit (the crowds today are apparently pretty crazy). The exhibit covers all major entries in the Patlabor franchise with the exception of 2014’s live action “The Next Generation”. While much of the display includes art that has been available in various books before, this is the first time many of the originals have been displayed. It was also nice to see the designs from 2016’s 8-minute “Patlabor Reboot” short getting some attention – the only time they’ve been seen anywhere outside the booklet that came with the bluray set. 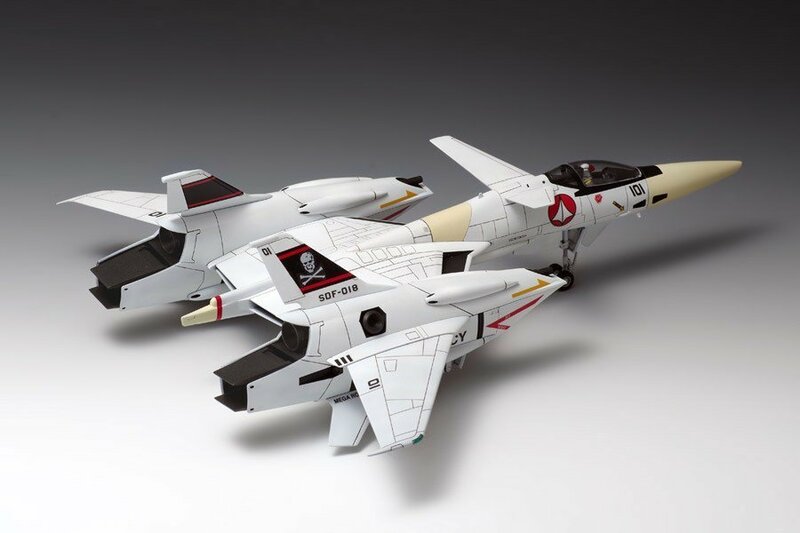 Unfortunately, with the exception of a new key visual illustration, there was was no news on the much teased “Patlabor EZY”, although the exhibit booklet lists it as coming in “2020?” so hopefully information will start to drop sometime next year. For an all-too-brief 9-day period between November 12-20, Seibu Ikebukuro Department Store hosted an exhibit of the works of Kazuhiro Fujita. Known primarily outside of Japan for Ushio & Tora, which received an all-new tv anime adaptation in 2015-2016, Fujita is celebrating his 30th anniversary as a manga artist and a new animated adaptation of Karakuri Circus started airing on Japanese tv in October. Fortunately photographs were permitted at the exhibit however even on the second last day, the crowds were large enough to make actually taking them difficult in many cases. The lighting didn’t particularly help all that much either. Having said that, the following gallery are the pics that we did manage to get. 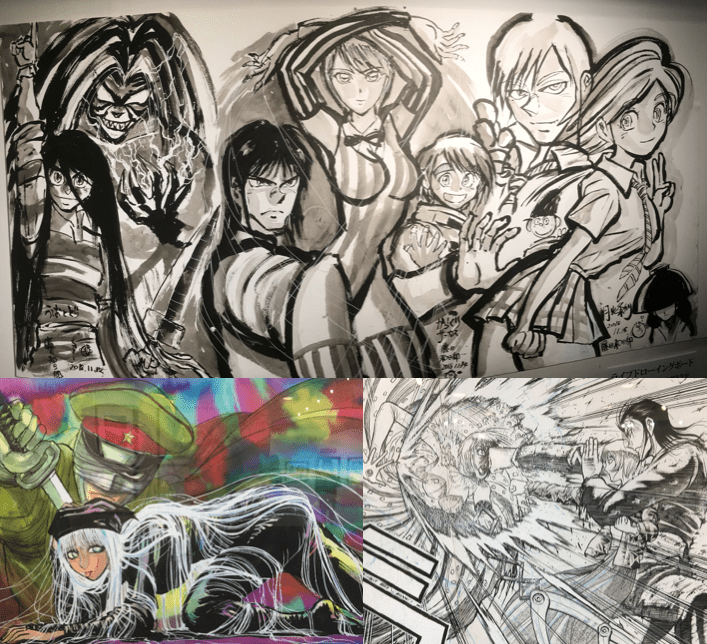 It focuses more on the Ushio & Tora section of the exhibit with a smattering of pics from the other sections, including the wall-sized mural that Kazuhiro Fujita painted just for the exhibit. Enjoy! 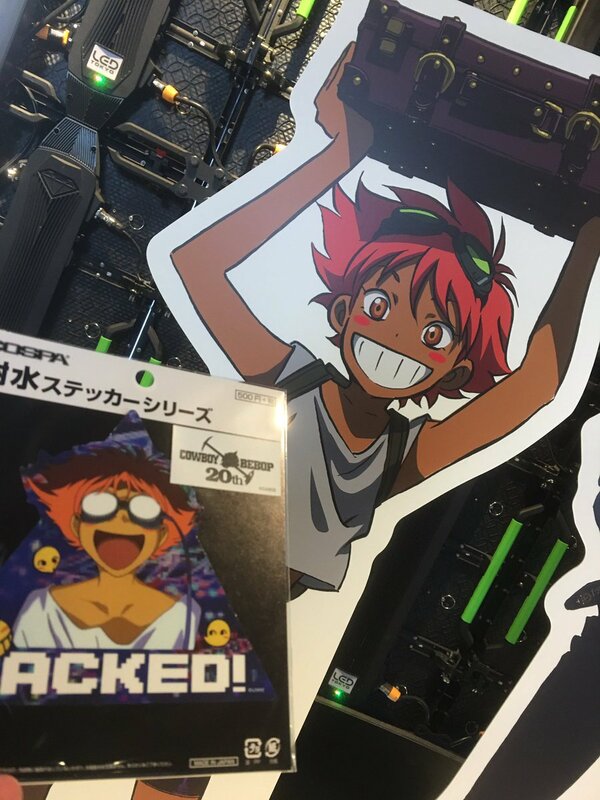 The second part of animation studio Bones’ 20th Anniversary Exhibit at the Tokyo Anime Center in DNP Plaza opened on November 14 and is scheduled to continue until November 25. Focusing more on Bones’ newer works, Part 2 of the exhibit included a lot of Heroman, Space Dandy, My Hero Academia, Hisone and Masotan (Dragon Pilot) and more. Here’s a few pics the the SpeakerPODcast crew managed to snap. Enjoy! The Walkure Cafe 2018 opened yesterday at Harajuku’s AreaQ. Similar to last year’s Walkure Cafe, this year’s focuses on the recently released Bluray of Walkure’s 3rd Live and features original merchandise, video interviews with Walkure and a collaboration menu put together by the girls themselves. Due to the video footage playing constantly throughout the cafe, photographs were only allowed in a select few areas. The following are a few that the SpeakerPODcast Crew managed to get. 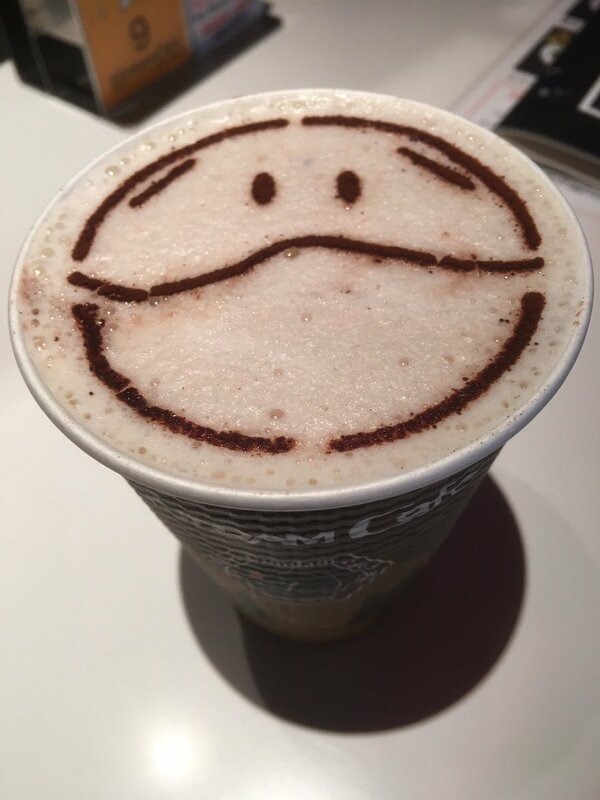 The Walkure Cafe is open until November 25th and an online ticket/booking is generally necessary to enter.